Every Last Stylish Detail: The Quick List: Celebrating St. Patrick! The Quick List: Celebrating St. Patrick! It is no secret that here in America we celebrate March 17th with an excitement that rivals our own patriotic holidays. While actual 'Irelanders' go to church on the holy day of their patron saint, Americans wear green, make Irish food and drink (a lot) of green beer and Guinness. Here are a few more ways to honor St. Patrick, enjoy! #1. I did two Irish posts last year, one suggested a beer tasting party and the other using St. Patrick's Day as wedding inspiration. #2. 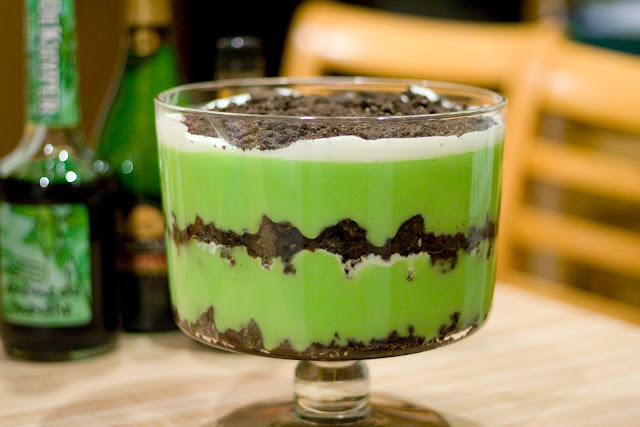 Irish inspired dessert recipes. So many delicious treats and only one day to indulge! I'm pretty excited about these chocolate stout cupcakes with Bailey's cream cheese frosting. And these adorable leprechaun hat s'mores. Oh and who wouldn't drool over this lazy grasshopper dish? Who knew there were so many Green Isle confections? #3. Looking to go all out? Here is the top 10 list of the best St. Patrick's Day celebrations stateside. 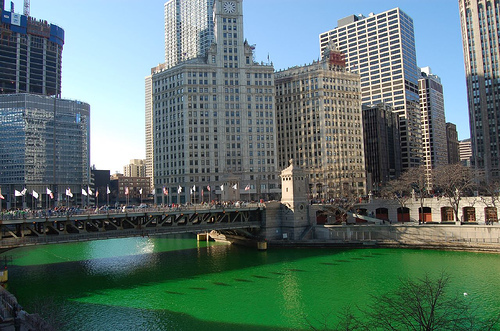 Ever since I heard about the Charles River being dyed green a few years ago, celebrating March 17th in Chicago is (still) on my bucket list.